While not really a novelty, I bet that most readers have never heard of this (I had no idea myself admittedly). David Sánchez discusses this week at his (Spanish language) blog Noticias de Prehistoria – Prehistoria al Día the existence of several most intriguing conic screw pieces found in Gravettian and Magdalenian sites from Dordogne (Aquitaine, French Republic), a district that (because of its great density of findings and cultural centrality for Middle and Late UP European prehistory) I have sometimes dubbed the Paleolithic Metropolis of Europe. What are these magnificent pieces of Paleolithic craftsmanship? Apparently they are nothing else that that waterskin stoppers. Don’s Maps suggest (scroll down) that the waterskin’s neck hole would be made with a long bone hollow piece (just get out the marrow and tie it tightly to the skin’s neck with a couple of thin ropes after performing two grooves on the external surface of the bone piece), then just apply the screw stopper forcing the bone (which is hard but somewhat flexible) to adapt to it. Naturally the inner groove would be created as you repeat the process once and again, surely having to push a little more each time (the bone tends to expand somewhat under the internal pressure). Why are they conical and not cylindrical like modern ones? Surely because the same stopper (hard high quality work) was expected to serve many different waterskins, with different neck sizes. Also the very process of creation of the neck’s perfect fit requires of an initial process of expansion for which a cylindrical stopper was not fit. It never ceases to amaze the ingenuity and creativity of our Paleolithic ancestors, right? Sources: Noticias de Prehistoria[es], Don’s Maps. 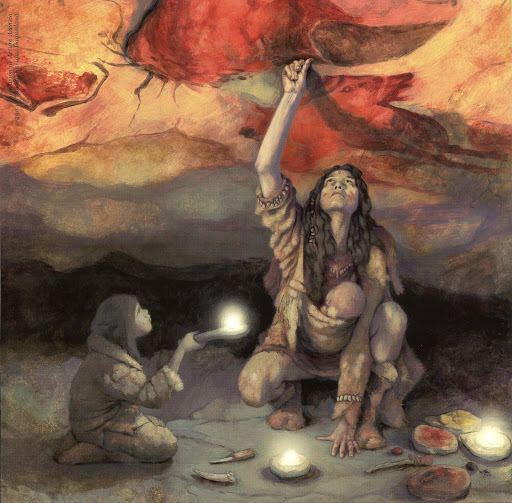 As I have briefly mentioned before David Sánchez has a most interesting series of articles (in Spanish language) these days, at his blog Noticias de Prehistoria – Prehistoria al Día, dealing with the usage of oil lamps in SW Europe (France, Iberian Peninsula) in the Upper Paleolithic. If you are familiar with Spanish language (or willing to use an online translator), you can read them at the following links: PART 1, PART 2 and PART 3 (update: part 4 is now also online). It must be mentioned, following the original articles, that the lamps of Iberia have all been found inside caves (while in France the locations are more diverse) and also nearly all them belong to the Magdalenian period. 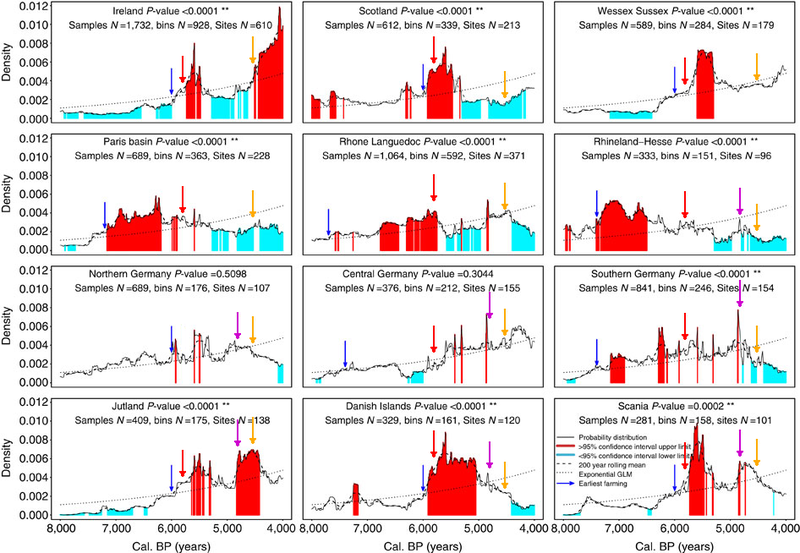 The exceptions are Bolinkoba (8), which is from a Solutrean chronology, La Trinidad de Ardales (1), which has no context, and a possible ill-documented lamp from Lezetxiki (14), originally argued to be of either Aurignacian or Mousterian context. Even if you don’t understand Spanish, I would suggest to take a look at the original articles for the many illustrations of a varied array of lamps. 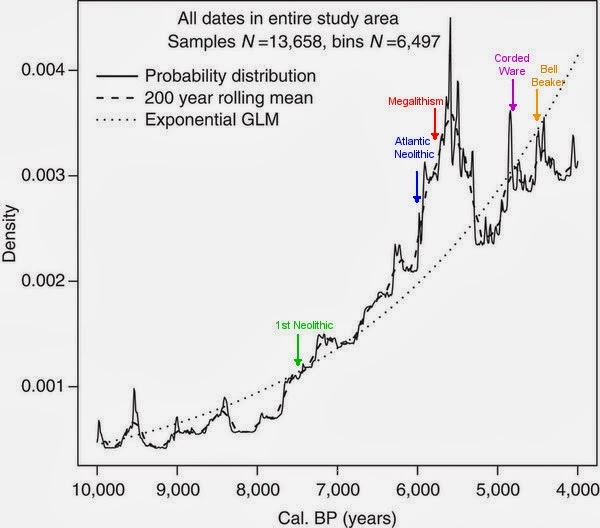 The expansion of an existent pig farm from 1000 to 8000 heads per annum threatens to contaminate the cave, inhabited in the Chalcolithic and Paleolithic, with pig manure. Foissac (Aveyron department, Languedoc) is particularly wealthy in burial, pottery and other Chalcolithic remains, which are preserved in situ because of exceptional conservation conditions (it was dug up by F. Rouzaud, M.-A. Garcia and H. Duday between 1978 and 1988). More recently (2006) a branch of the same cave was found to have Paleolithic rock art, which would be at risk by this farm. 12 700 CAUSSE ET DIEGE. There is also an online petition that you may sign. 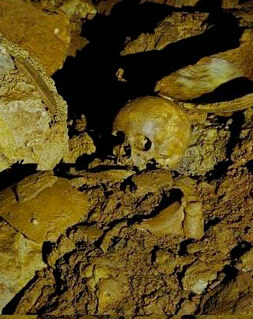 See also the official site of the Foissac Cave. About these days some 500 years ago, the Kingdom of Castile decided to put to use the silver robbed to the Native Americans into a new military campaign. This time it was Navarre, the state of the Basques. In mid-June, a huge army under the command of the always infamous Duke of Alba, was concentrated at Vitoria, conquered in 1200. Meanwhile the English, then allied with Castile, had posted troops at Bayonne to curtail any French attempt of aid. The Castilian army marched without difficulties through Burunda and Arakil and on July 23rd, camped outside Pamplona, at Arazuri. Unable to defend the city against such an oversized conquest force, the Navarrese monarchs went to their northern possessions in Gascony (Bearn). The city surrendered and on July 25th the invaders took possession with all the religious paraphernalia they styled. After conquering Pamplona, a second invading army from Aragon (in dynastic union with Castile already) commanded by the Archbishop of Zaragoza, Alfonso, illegitimate son of King Ferdinand, occupied the Ribera (Erribera) and put siege to Tudela (Tutera) on August 14th. The city resisted for a month and only surrendered, on September 9th,upon oath that the traditional charters (fueros, laws) would be honored by the invaders. John of Albret (King consort) finally mustered a diverse army made up of Navarrese, Gascons and Albanian and German mercenaries, which set up march at Pau (Bearn, part of the lands of the crown back then) on October 15th, commanded by Francis, Dauphin of France and Duke of Angouleme, with King Jean as sub-commander. They expelled the Duke of Alba from Donibane Garazi (St. Jean Pie-de-Port) and arrived to Pamplona on October 26th but could not capture the city. When the winter set on, the liberation army retreated before the snow would close the passes. The Court (Parliament) of Navarre was called by the invader on March 23rd and, under obvious pressure, they swore loyalty to the invader. Meanwhile the Castilians occupied again the Low Navarre (now under French rule) taking hostages and calling district Court to force the county to also swear loyalty to the occupant. 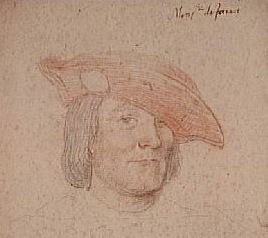 There was some hope of a peaceful resolution with a generational change among the monarchs: Francis I, who had personally commanded the Navarrese liberation army, became new King of France, while Charles of Burgundy (would-be Emperor Charles V) also showed signs of not being too interested in holding Navarre by force. This pushed Ferdinand of Aragon (regent of Castile) to take the decision of annexing Navarre to Castile, formally suppressing its distinctiveness as independent kingdom. The formal ratification of this matter was done in the city of Burgos, Castile, before the Court of Castile on June 11th 1515. Navarre as such was not even asked. 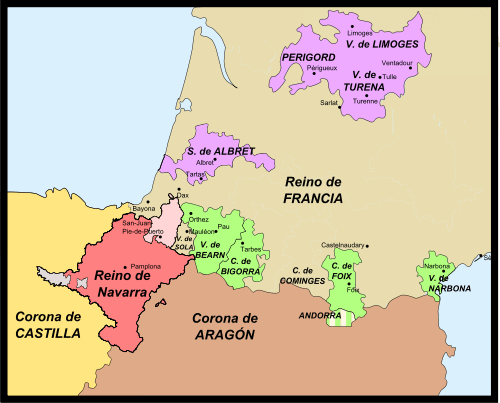 However the Navarrese Kingdom retained all formal and legal distinctions, including parliament and tribunals, as had been allowed previously to the provinces formed from Western Navarre in 1200. It is at this point when Navarre is (forcibly) made a semi-autonomous part of Castile (Spain since the 18th century). Upon the death of Ferdinand of Aragon (January 23rd 1516), there were uprisings in is domains, circumstance that fueled a new attempt of liberation by John of Albret. The invasion attempt crossing the Pyrenees was ambushed at Isaba however and the commander, Marshall Peter of Navarre, made prisoner. He would die in strange circumstancesTM in 1522, still a prisoner. Castile was then under transitional control of the strongman cardinal-regent Francisco Jiménez de Cisneros, who decided to punish the separatist feelings of the Navarrese people by means of political persecution. The most visible element was the dismantling of all kind of fortifications, leaving towns and villages undefended. The very walls of Pamplona were reconstructed anew with the Machiavellan detail of making them clearly separate from the homes, so the citizens could not take them again from inside. More than a fortified city, Pamplona was now a prison, with walls conceived more for defense against the citizens than against any possible invader. Meanwhile in Bearn, Henry II Zangotzarra became king of an occupied realm. Spanish historians, always so partial, treat him as “French” and “Prince of Bearn”, even if he was not just the legitimate monarch but also born in Sangüesa (Zangoza), and his campaigns as “French invasions”. Castile was then (1521) under the popular revolt of the Comuneros, who demanded from Charles V respect to the traditional law and freedoms, making the occasion ideal for an attempt of liberation of Navarre. Henry mustered an army of mostly Navarrese and Gascons, which was put under the command of Andrew of Foix, Lord of Asparrot (also known as Asparrós). The Comuneros had just been defeated at Villalar (April 23rd) when the campaign began (May 10th). Upon the arrival of the liberation army, Pamplona surrendered and proclaimed Henry II as true monarch. Only a castle outside the walls resisted and was bombed. Among those inside was Iñigo of Loiola (later known as Ignatius) a Gipuzkoan professional soldier working for Castile… before and after the injury. The liberation march was welcomed everywhere in Navarre but then Asparrot committed what is considered a key error: licensed much of the infantry and marched against Logroño (which had been Navarrese centuries earlier). The Castilian counter-attack pushed the Navarrese army towards Pamplona, with the final showdown happening at Noain on June 30th. 6000 people lost their lives in that battle. There was still some resistance, notably in Baztan, where a Navarrese garrison resisted bravely in the castle of Amaiur, now a ruin with a monolith. The Northern tip of Navarre, known as Low Navarre, remained independent. Lacking any cities however, the Court installed itself in Pau, Bearn, where it would be a center of the Huguenot camp, eventually leading Henry III to the throne of Paris (where is known as Henry IV). It was also a center of Basque and Gascon literature, making of a military defeat the seed of a long ethno-cultural and political resistance with the more than occasional popular and military uprising. Up to this day. 500 years of occupation, 500 years of resistance. Main reference[es]: José María Jimeno Jurío, LA GUERRA DE 1512-1522 Y SU REPERCUSION SOBRE LOS TERRITORIOS DE LA CORONA DE NAVARRA.